This is the calm retort the Cambodian policeman and central investigator, Davuth, provides his daughter in Lawrence Osborne’s moody and spirit laden novel, Hunters in the Dark, (Hogarth 2015) before following a set of clues that will see one American underachiever and one English school-teacher cross paths in a tale of double identities and floating indemnity. Investigators in Cambodia pursue for their own personal gain first and foremost without the benefit of much schooling. Davuth survived the history of Cambodia precisely because he comes from peasant stock, yet he wields considerable power over the educated “barangs” that frequent his country for “business or pleasure”. When I first learned that Osborne’s latest novel would feature an English school-teacher set in Cambodia I thought, how unimaginative is that? I also thought this will be a far cry from his embezzling, on the lamb, English attorney who reinvents himself as the high-stakes playing baccarat gambler in Macao, Lord Byron in The Ballad of a Small Player, a novel I enjoyed very much, written by Osborne and published in 2014 (Hogarth). 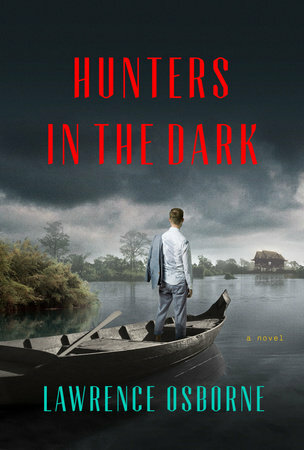 But just as the American businessman, Simon living by the river in Battambang had come around to the idea of ghosts since living in Cambodia, I’ve come around to the idea that Lawrence Osborne can write about any character whom he wishes to, because he does it with skill and a nuanced imagination. Robert Grieve is the central character – 28 years old, a career English literature teacher from England. His life, like his present day country, is rather bland and ordinary compared to the East. When he has a bit of drowsy luck at the Diamond Club, after a border crossing from Thailand, his fortunes change forever. I see similarities between the Lord Byron and Robert Grieve characters in Osborne’s last two novels: they both assume new identities; interpersonal skills are not their strong suit; neither has any love lost for their former country; they both seem to get thrills they never came close to achieving before; they both wear tailored cloths and enjoy the details of a fine meal. Grieve is not your “cheap haircut, cargo pant wearing English teacher in flip flops.” On the contrary, Osborne gets his digs in at this expat “subculture” on more than one occasion. Osborne’s characters and settings are equally superb, be they major or minor. The Scottish innkeeper with a penchant for munitions themed interior design I particularly liked, along with the yellow taped grounds and deer that occasionally get turned to a bloody mist. The Dutch artist painting while naked at 3:00 am with two young female models seemed vaguely familiar and believable. Other principal characters are Grieve’s driver, Ouksa, the Khmer doctor Sar, and his beautiful young daughter and love interest for Robert – the Paris educated Sophal. She is contrasted nicely with Simon’s Khmer girlfriend, Sothea who brings a semblance of balance and karmic energy to the story. Osborne gives the reader many details of the characters later rather than sooner, which enriches the story at an enjoyable pace. In other words, the exact opposite of what Lawrence Osborne has accomplished in writing Hunters in the Dark. Sounds like a great read, Kevin. One for my next holiday in the region.